Coursera’s founder and CEO, Dr. Daphne Koller was reported by the BBC to opined that within the next five years complete undergraduate degree programmes will be available from top universities. The disruptive technology of MOOC (Massive Open Online Course) is really the underlying cause of this development. This was somehow not covered in the BBC’s story. It has instead equated MOOC to “traditional” online learning. 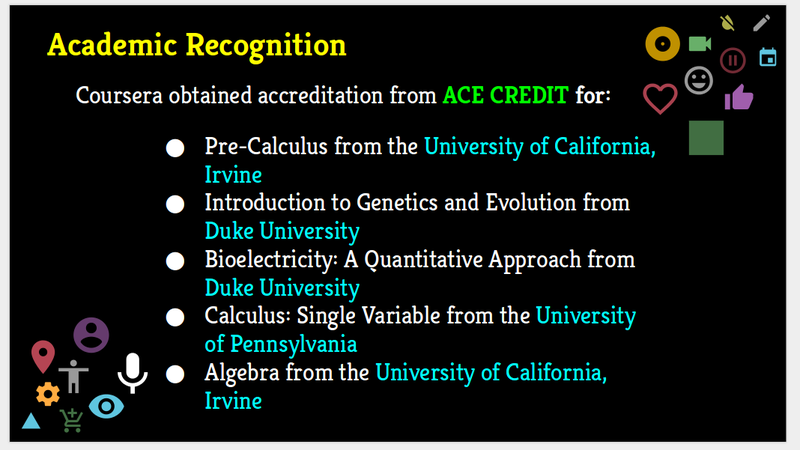 I think even the US universities are having to deal with accreditation issues when putting degree programmes online. Putting MOOC-degrees online thus comes with a few hurdles, especially on the regulatory side. In Malaysia, the soon-to-be finalized MOOCs Guidelines by the Malaysian Qualifications Agency (MQA) (for which this author had the privilege to provide feedback at the drafting stage) will be treating any MOOCs the same as conventional delivered courses when it comes to the recognition of these for academic credits. MQA’s further limit the number of MOOC courses that can be credit transferred to a maximum of 30% of an academic award. Somehow MQA’s guidelines are silent on the accreditation of fully MOOC-delivered academic qualifications. I think it will be necessary for MQA to state its position on this when it has the chance to study the decisions of other accreditation agencies. But as Koller has said, full online proctoring of examination is not as difficult as people have thought and with MOOC technology, it is much more secured. Firstly MOOC technology now have produced artificial intelligence smart enough to detect a learner’s keyboarding style and even writing style. Online proctoring of examination as I found out in 2013 was no rocket science. My own son, Leland Chow was still in Malaysia preparing for his studies at the University Nebraska-Lincoln and I encouraged him to take Udacity’s “Statistics: The Science of Decisions”. The online proctoring on the day of the final examination was simple. The online invigilator contacted Leland to instruct him how to angle his webcam along with a mirror by his side. That was it. The invigilator supervised the entire duration of the final examination. 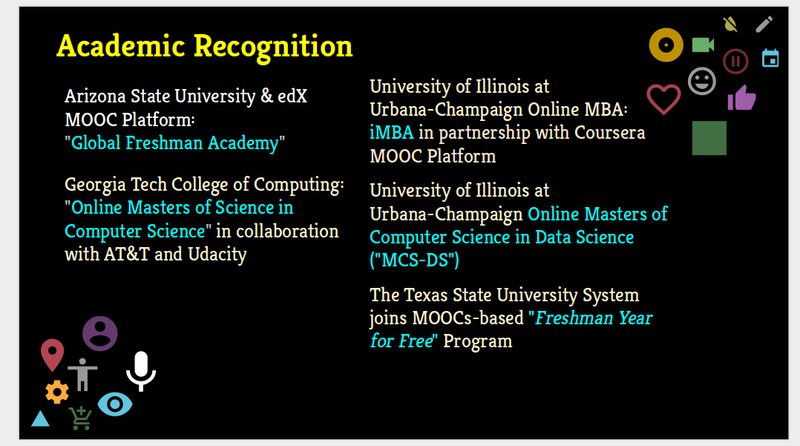 Because of the online proctoring, UNL gave Leland 3 credits for the MOOC course. With competition among universities getting more intense for the best students, the more “student-centric” a degree programme is, the chances of attracting better calibre students are better. However, as a 20-years veteran in the higher education field, I think that for younger learners, a blended approach is still the best. In addition, all 18 year-old students would need to experience on-campus life to forge life-long networking opportunities with their peers. This is something MOOCs cannot provide effectively. Human-to-human direct interaction after all is still the best way to provide a holistic learning package for young adults. Having said this, I think MOOC-degrees will be the thing to come. But it may still be targeted at adult learners rather than school leavers.